Editing multiple services is a great way to get a birds eye view of several services and drag and drop service plan items, notes, songs and volunteers between services. Simply navigate to Services. There are two ways of going to the Edit Multiple Services screen. Click the button marked ‘Edit Multiple Services’ located on the top right corner of the main area. Once you click this button, it will allow you to filter services by a date range and service types. 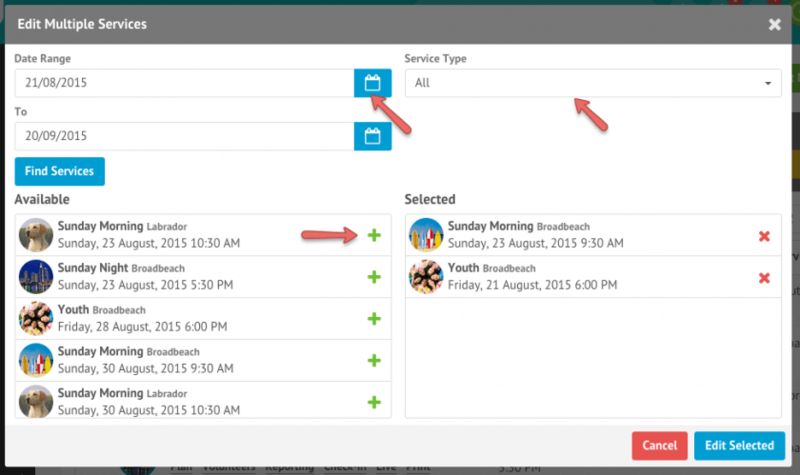 To add a service to edit, simply click the ‘plus icon’ located next to the service. Once the desired services are added, click on ‘Edit Selected’ to continue. 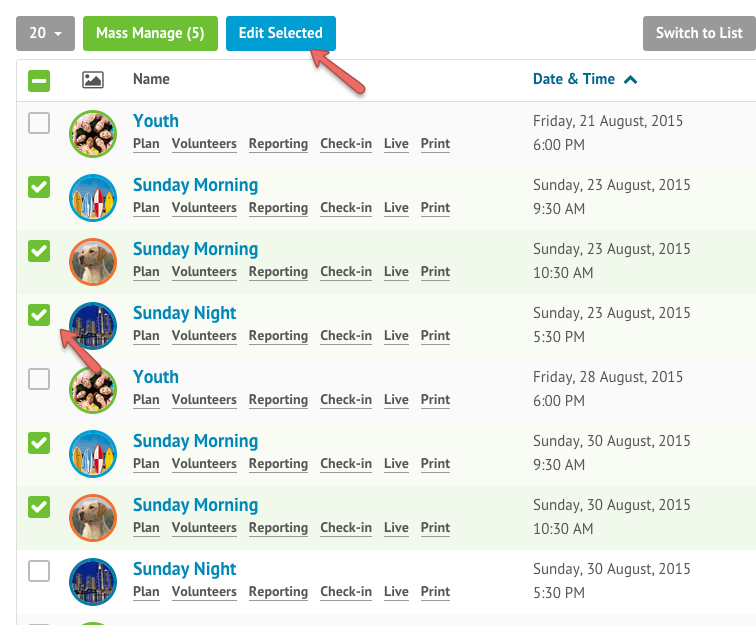 Tick the checkbox located on the left side of the service you would like to edit. When you’re happy. click the ‘Edit Select’ button.